Valentine's Day is just around the corner, and rather than scrambling for the usual gift ideas like roses and chocolates, why not step things up a notch? After all, what guy is going to be keen on flowers? But what do you get a male for Valentine's Day? How about a romantic, relaxing getaway in the sun-kissed Whitsundays? Spend this Valentine's Day in the luxurious surrounds of Hamilton Island's signature 5 star resort and enjoy some quality time together. 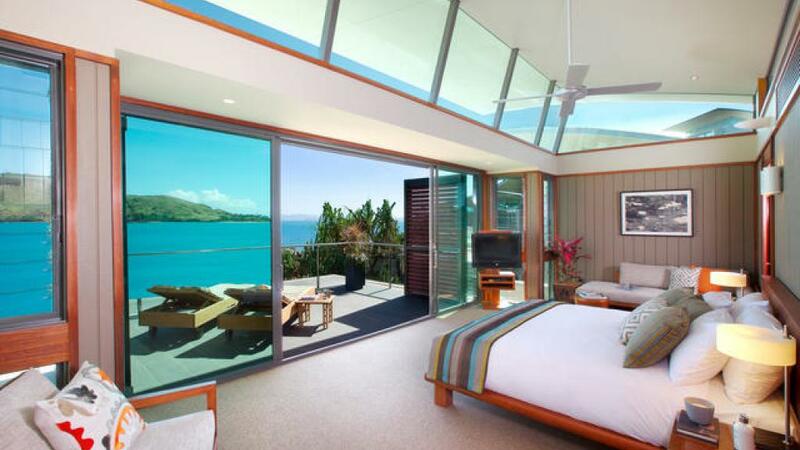 Hamilton Island Yacht Club Villas is a luxurious tropical island resort boasting incredible waterfront views. The closest resort to the Hamilton Island marina, it's perfectly positioned for a number of romantic activities including long leisurely lunches by the water, sunset cruises and the amazing snorkelling and scuba diving excursions that depart for the colourful corals and marine life of the World Heritage listed Great Barrier Reef. Offering a deluxe, intimate atmosphere the stylish, spacious villas offer the perfect place for you and your beloved to enjoy some time out together. Enjoying stunning views of Dent Passage and the nearby islands, the Hamilton Island Yacht Club Villas are surrounded by lush tropical gardens and boast beautiful high ceilings, offering all the convenience of a home away from home experience, if you lived in your dream home. 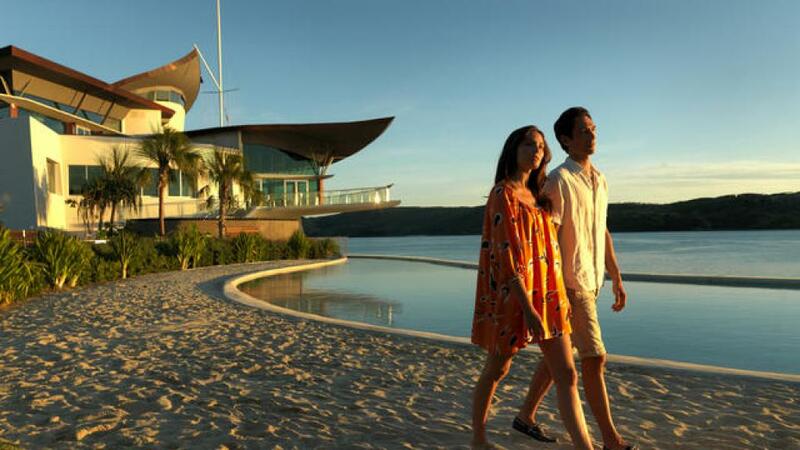 Coming with their own complimentary electric buggy, you're free to explore stunning Hamilton Island at your own whim. However, with so many fantastic onsite facilities, you may not want to leave the upmarket, intimate atmosphere of the resort. Which is fine, because we you can finally pry yourselves away from your villa, there's the gorgeous pool to relax by and a whole cocktail menu to work your way through, not to mention some simply divine couples massages and spa treatments to indulge in at the onsite day spa.